Last month, it was colder in Chicago than it was in the Nuiqsut, Alaska. Nuiqsut is an Inupiat village on the North Slope of Alaska. It's population of ~450 people relies on subsistence fisheries to supply a substantial portion of their diet. Target species include bowhead whale, caribou, seal, moose, birds, and fish. In 2003, I had the opportunity to spend some time in Nuiqsut. 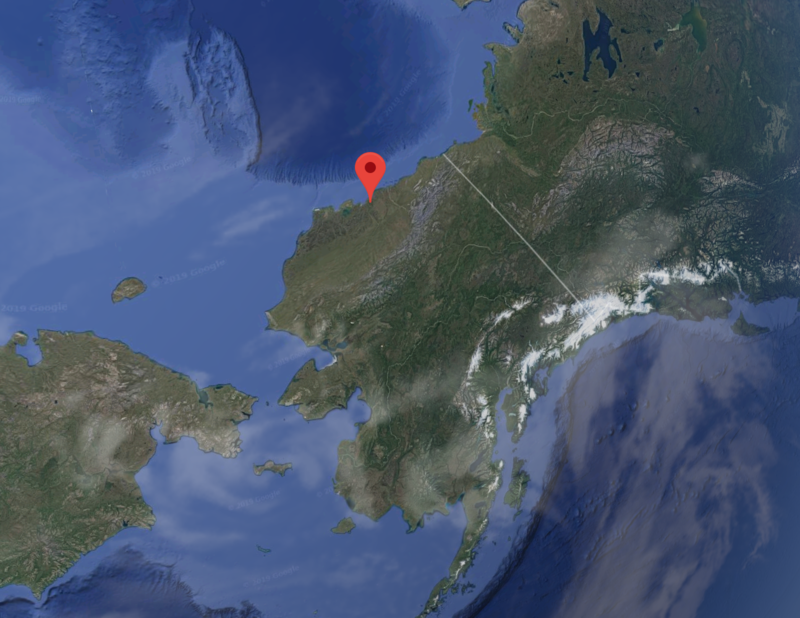 MBC organized a conference focused on the Arctic cisco, an anadromous species that reproduces in the Mackenzie River, and migrates along the Beaufort Sea coast. They are fished for subsistence by locals using gill nets deployed under the ice. There was some concern that low catches at the time were related to human activities, such as oil and gas development. After a stop in Anchorage and spending the night in Fairbanks, I was boarding a small plane that would take us above the Arctic Circle. The woman ahead of me in line was checking a bale of hay at the ticket counter, presumably for her dogs. The pilot would do a wing wave every time he flew over a herd of caribou to help hunters. My metabolism skyrocketed, and I ate all day long to keep up with the calories I was burning to stay warm. Our flight took us over the Brooks Range before we stopped in Deadhorse and Prudhoe Bay to drop off mail. It was warm inside the plane as long as the turboprops were running. But each time the pilot landed and shut down the engines (and put on his snow gear to go outside), the temperature inside the plane plummeted. 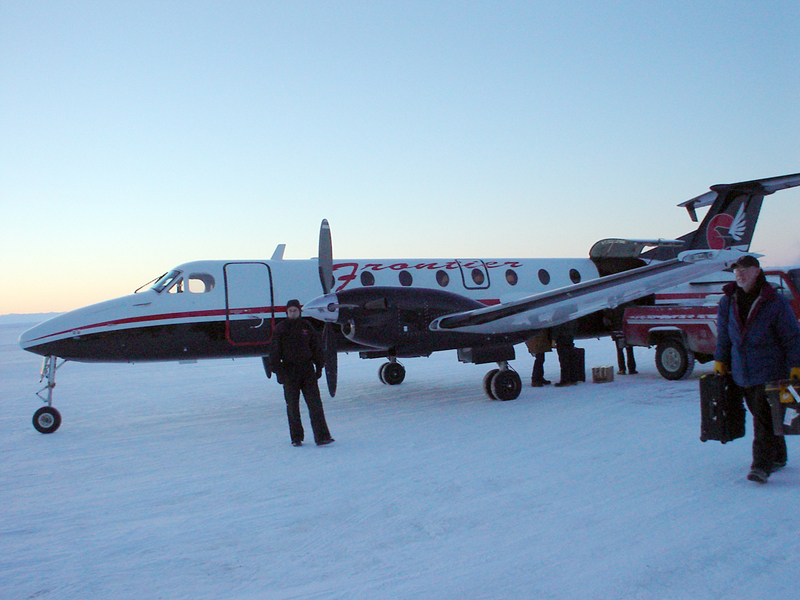 At the end of a long travel day, we landed at the Nuiqsut airstrip. I was there in November, so there was very little light. The sun would barely rise, and then set. We briefly saw the Northern Lights. Nighttime temps were in the negative teens and twenties. When you stepped outside, your snot froze instantly. Your eyelashes froze instantly. Exposed skin was problematic. But it doesn't stop the locals from going fishing. To catch cisco, fishers drill holes and set gill nets under the ice from October to December. Effort usually begins near town, but as the ice thickens the effort spreads away. Changing climate has changed the fishery. Warmer temperatures and altered seasons have required the locals to adapt in a variety of ways. They fish, hunt, and pick berries in different locations now. The 2003 conference was held in winter because little field work is done in that part of the world in winter. It was a small gathering (~40 people) and was held in the Nuiqsut Community Center. It brought together locals who fished and held generations of traditional knowledge, as well as scientists and agencies who had studied the species. My bunk mate was a scientist named Two Crow. It was a productive conference because the locals had decades of traditional knowledge that the scientific community was able to listen to and document. Vice versa, researchers illustrated the data they had collected and analyzed, and many gaps were filled. I got to experience first-hand how productive the mingling of artisanal fishers, scientists, and other interested persons could be. The meeting concluded by prioritizing a list of study topics that should be pursued in the future to gather new data, assemble existing data, and synthesize both. This is the next blog in our MBC Leaders in the Field series showcasing the depth of MBC’s knowledge and experience, written by our president, Shane Beck. Shane recounts MBC's experience collecting storm water samples in Long Beach Harbor during the early 1990s for stormwater monitoring and compares it to today's tools for weather forecasting. For 50 years, MBC has conducted hydrographic surveys to create navigational charts to keep ships safe from running aground, to measure water depths before and after dredging, and to identify lake capacities. Mapping bodies of water locally, statewide, and internationally, MBC provides top-of-the-line equipment and knowledgeable expertise to survey any sized area your project calls for. This is the first blog in our MBC Leaders in the Field series showcasing the depth of MBC’s knowledge and experience, written by our president, Shane Beck. Shane recounts his time up in Nuiqsut, Alaska—which had warmer temps last month than Chicago! MBC attended a conference to discuss the decline of the Arctic cisco, a fish locals used for subsistence. Those who don’t have experience navigating permit requirements can find it difficult, especially with constantly changing environmental sanctions. Here at MBC, we don’t expect you to be the toxicity experts. We’ll walk you through the permit requirements, consult in best sample practices, and even go out into the field to take samples. Technology advancements are ever increasing the capacity of our underwater discoveries and the preservation of our oceans. From underwater accoustics to magnifiying new depths, these are five of our favorite and most functional tools. Before the Environmental Protection Agency? In the year 1969, MBC Aquatic Sciences (as we know it) was established. That means our organization was around even before the Environmental Protection Agency was created. MBC Founder, Chuck Mitchell, didn’t know at the time that he was pioneering new environmental opportunities that would continue to flourish half century later. With 36 years experience in eelgrass transplants, MBC teamed up with Curtin Maritime, to perform the work for San Diego Public Works, and tackle what is known as the largest eelgrass transplant project on the West Coast. With 462 berths and a public boat launch ramp, San Leandro Marina has provided generations of Bay Area boaters with access to the Bay via a 2-mile long entrance channel through the mudflats, and after years of memories, the City of San Leandro has decided to “de-commission” the Marina. MBC has conducted a final hydrographic survey to provide a color bathymetric contour chart to help guide the remaining recreational boaters in the Marina across the shallow entrance shoal and out the channel into San Francisco Bay. Will Dredging Help Restore California’s Lakes and Reservoirs? MBC lake surveys document the impact of siltation on California lakes and reservoirs. Could dredging and dam outlet remediation be the way forward? How Do You Image a Sunken Barge? During a recent underwater utility survey in San Francisco Bay, MBC located a sunken barge partially buried in the mud. It is not unusual to find a sunken barge using side-scan sonar, but imaging a sunken barge with a sub-bottom profiler is quite rare. We had an opportunity to do so. When Dr. Wheeler North of California Institute of Technology (Cal Tech) pioneered a practice for monitoring kelp beds in the 1960s, did he expect it to still be in practice 50 years later? Dr. North understood that the protection of these beds was pivotal, as kelp forests harbor a greater variety and higher diversity of plants and animals than almost any other ocean community. More than 60 organizations in Southern California are joining hands to determine ecological health. Every five years, the BIGHT regional monitoring project produces a snapshot of Southern California's environmental quality. The study questions as well as the processes they’ll take to produce the result reports are collectively determined. This final snapshot consists of multiple reports based on the different study elements. Fortunately, we have environmental laws and regulations on the books to reduce the environmental impacts of the things we build. But those laws wouldn't mean much without people who know what they are and how to make sure that new projects conform to them.